Combine the egg, beer, flour, salt and paprika in a large bowl. 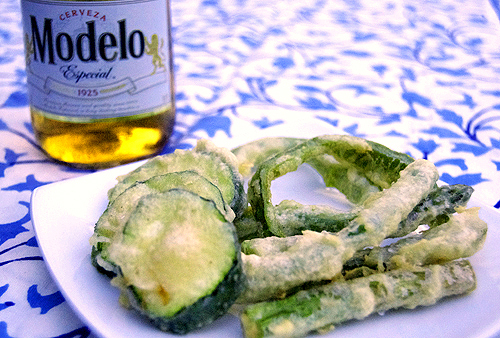 Coat vegetables in extra flour, then dip in the batter before frying. Fry in batches until golden brown (about 3-5 minutes) and place on paper towels to cool.